Went over to the "Barn Owl Nest Cam" site last night, I wanted to witness again the male owl coming out for his supper! Around 30 minutes before sunset I concealed myself away in an advantageous position so I could see the new "feeding" station. Once I'd been lying in wait for a while and the light had all but gone the landowner, Glyn came out and went through the same routine he has been doing for the last month or so, two dead day owl chicks were put out on the feeding post. 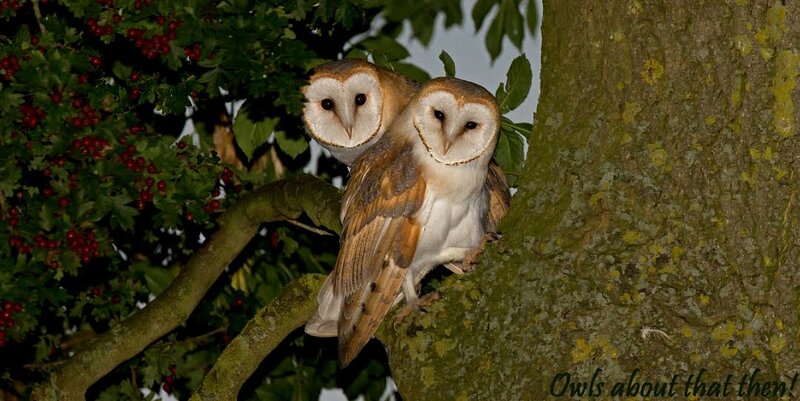 Glyn had only just shut the kitchen door of the farmhouse behind him when whoosh, in came the male owl for his feast. He'd been waiting for his grub, just as Glyn said he would be! 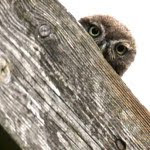 I am hoping that by the time there are chicks in the nest the adults owls will come out to feed a little earlier, I will hopefully then be able to get some images without the need of the flash. What a bird! The Barnies near me have been regularly out in the morning, so I've been told. Yes Christian, a very handsome guy. Go get some images of your local birds mate, or will you still be in bed? day owl chicks??? Never heard them called that before ! ;-}. Lovely shot Paul - well done! A play on words Richard!!!! Or am I trying to cover up a typo mistake?